Happy Thursday everyone! It’s time for our weekly instalment of ‘random things people were searching for when they landed here trivia’. Oh dear, that’s not good… I wish I could give you some specific advice but it very much depends on why you can’t fit your mudguards; it certainly can be a tricky job, particularly if you’ve never done it before and it’s certainly hampered in many cases if you use disc brakes and / or a front pannier rack. 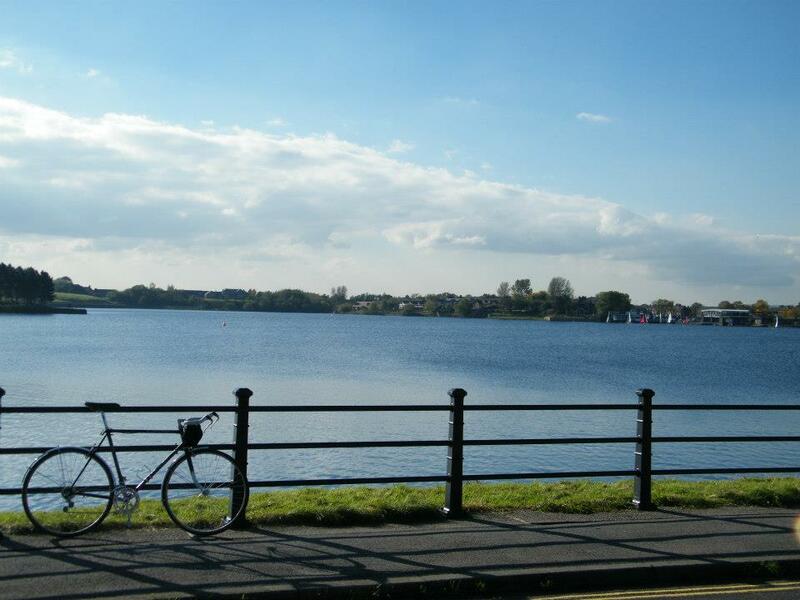 Really, the best advice I can give you is to take your bike and the errant mudguards to your local friendly independent bike shop (no, Halfords doesn’t count) and ask them to help you out. Firstly, don’t call me fixie. Now, the reason your brake lever doesn’t fit your bars is either 1) the internal diameter of your bars simply isn’t big enough; this is rare but it tends to happen with chopped and flipped vintage road bars and modern bar end brake levers – a practice I simply cannot condone. Or, 2) you’re trying to fit a flat bar style brake lever to your bullhorn bars; there are several reasons why this won’t work which are discussed here. Well, that’s all we have time for this week, dear readers; tune in next week for more of the same! As you know, I like quirky things; the quirkier, the better in fact! But, quirky isn’t always enough; stuff needs to work well too. I mean, look at Boris Johnson’s hair; it’s quirky as you like but what use is it, really? Allow me to introduce you to the Surly Tuggnut. Of course, it’s made by Surly so you know it’s going to be really well engineered, rock solid and will no doubt satisfy even your quirkiest of desires. Designed primarily for single speed / fixed gear bikes, the whole point of the Tuggnut is to incrementally move the rear wheel back in horizontal ‘dropouts’ to achieve the all important correct chain tension without the need for an ugly derailleur or external chain device or some kind. 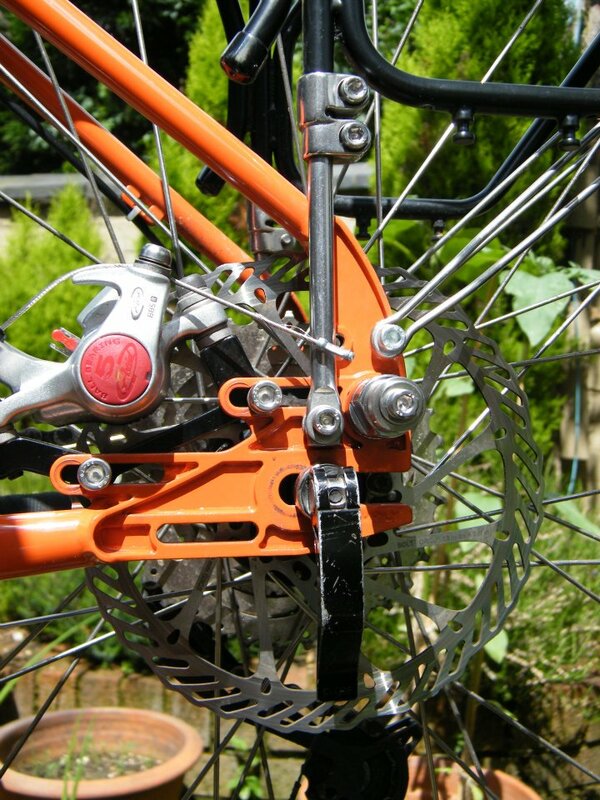 With 2 separate axle mounting points and uber fine adjustment available from the little thumbscrew, finding the right position for your rear wheel is a snap. And, thanks to a neat little washer type attachment, you can also run quick release wheels just as easily as solid axles. But wait, the Troll isn’t a single speed! 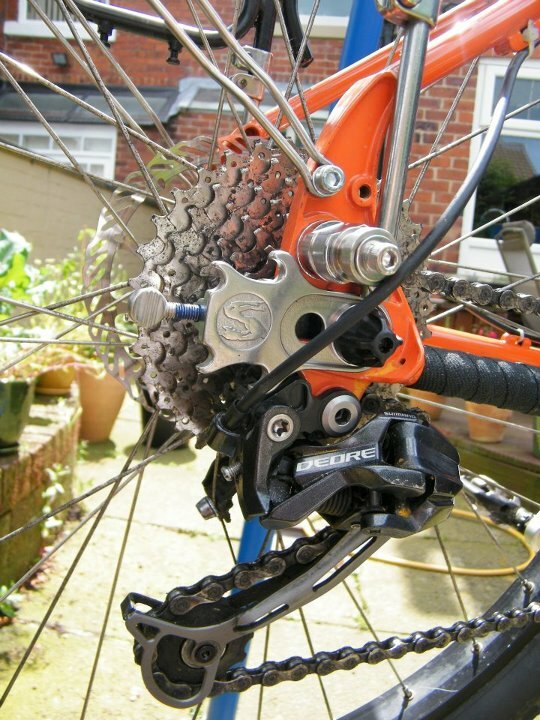 Look, there’s a big old shiny cassette and a rather nice Shimano Deore Shadow rear derailleur there – what on earth do you need a Tuggnut for on a geared bike? 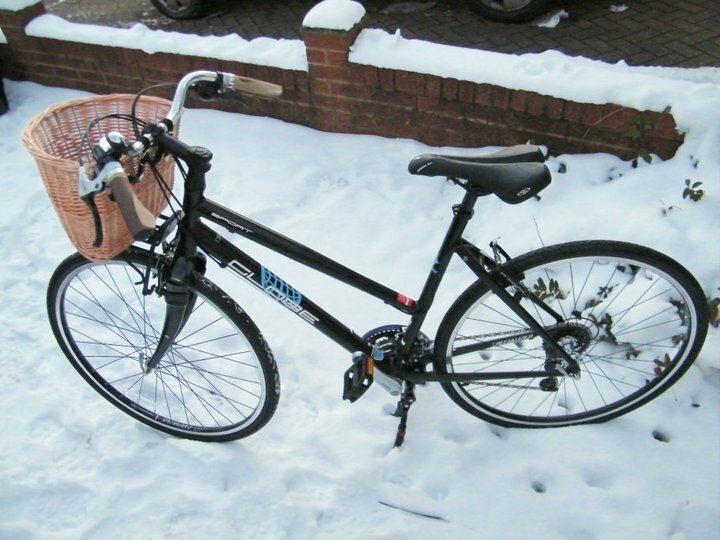 Buy a Surly Tuggnut – Sold! 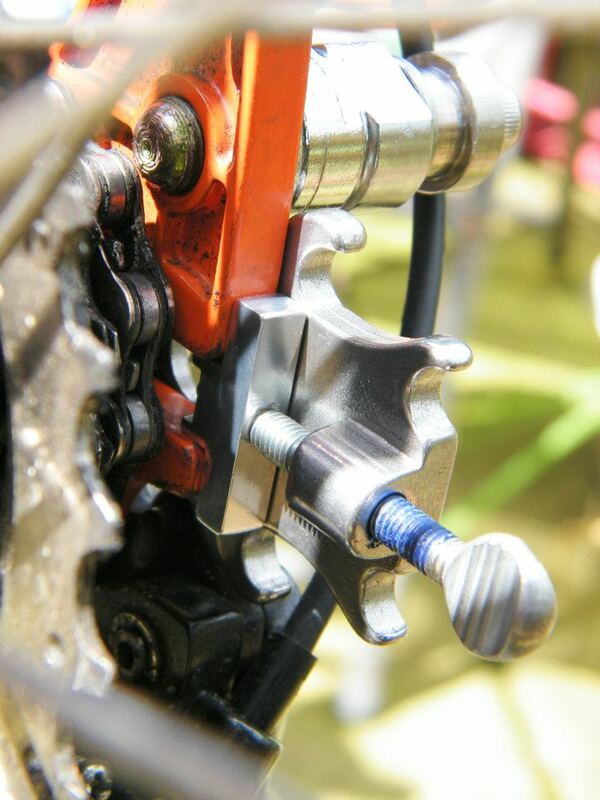 Available around the £25 range, the Tuggnut is hardly the most expensive bit of kit out there and the best news is, you only need one for the drive side of your bike! You can see here how much I managed to move the rear wheel back; not much, but just enough to avoid any more interference issues. You can also see in this shot the beauty of those sliding disc brake mounts; nothing more complicated here than loosening the bolts, sliding the caliper back a little and retightening the bolts. So yes, the Surly Tuggnut works extremely well. And the quirk factor? Well, that’s brought to you by the fact it also doubles as a bottle opener! Yep, at the end of a long, hard day’s trolling about, you can even crack open a cold one at the side of the trail. Sweet. While we’re on the subject of quirky, yet functional accessories for your Surly (and I believe there are other bike manufacturers out there), you could certainly do a lot worse than get yourself one of these. 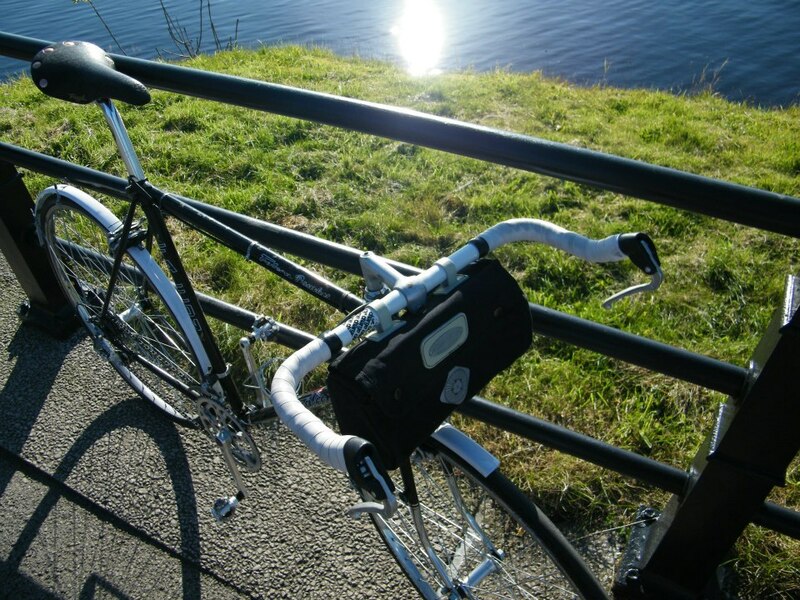 After some discussion with a fellow blogger and, having done plenty of research myself recently, I think it’s probably time to share my musings about handlebars; a topic which generates much debate amongst cyclists. Apologies to any Alanis haters, by the way. Judge me if you will, but I like this song and it’s my blog so I’ll play it if I want to. So there, nyah. I recently blogged about the various different types of bike and how the rules don’t necessarily have to be applied quite as rigidly as they first appear; you’ll be pleased to hear that the same is true of handlebars but, whilst you’ve got one hand in your pocket reaching for an energy bar, it is important that whatever your other hand is holding onto is the right thing for you and your bike. 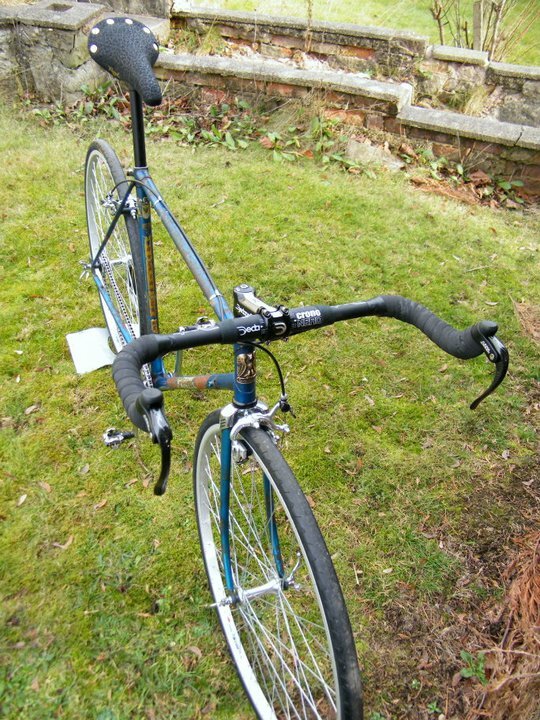 Now, the choices of handlebar available are quite simply staggering these days; some are staggeringly good, some are staggeringly beautiful, some are staggeringly ugly and some are even staggeringly expensive (many of the latter are also staggeringly shite). Flat bars are very much what they sound like; a straight bar with very little or no up sweep or back sweep. Flat bars are normally found on fixed gear bikes these days but do also make the odd appearance on hybrids and (if you’re a complete lettuce) on road bikes. As a rule, you get one hand position on the grips and maybe a second if you hold the bars themselves closer to the stem which doesn’t make for a very comfortable ride so I recommend them only for short commuting trips and the like. 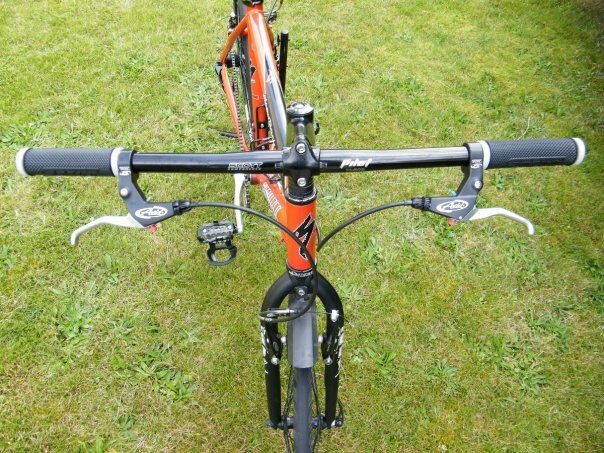 Riser bars (like these fitted to a former mountain bike of mine) are basically flat bars with personality; the name comes from the fact that they rise up from the centre and then flatten out, giving a much more comfortable riding position. Risers come in all shapes and sizes with various different widths and heights (of rise) and generally have an amount of back sweep so your hands end up a bit more ‘square’ to your body. 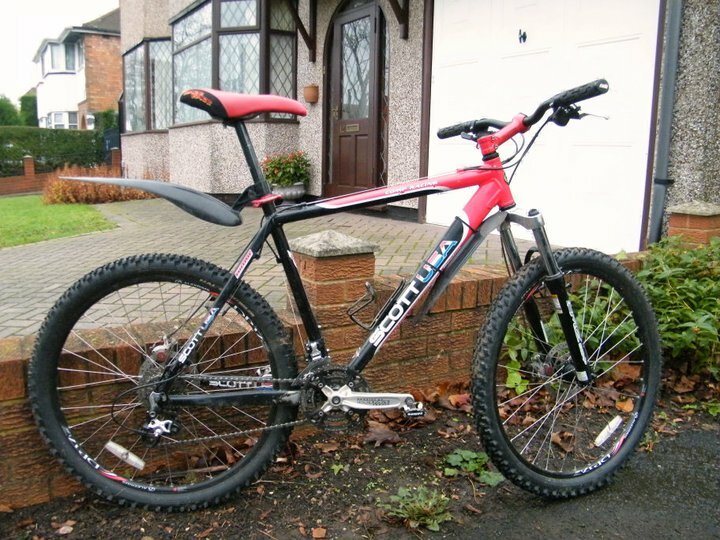 Designed for mountain bikes, they (somewhat unsurprisingly) work really well on mountain bikes and are also very common on hybrids. Again, you really only get one hand position but many mountain bikers choose to fit bar ends which give another hand position, make climbing hills so much easier but do spoil the clean looks of a naked bar, for me. Bullhorns are an interesting approach… I believe they came about when people started flipping their road bars over and cutting the drops off; these days, there are many options available and they’re primarily designed to be a base bar for time trial bikes where getting as low down and aerodynamic as possible is the ultimate gain. However, in recent years, they have also been adopted by single speed and fixed gear riders as there’s really no way of running gear shifters and they’re great for out-of-the-saddle storming through traffic duties. I happen to love bullhorns as they give plenty of hand positions and are a really good alternative to road bars if you’re not into riding in the drops. 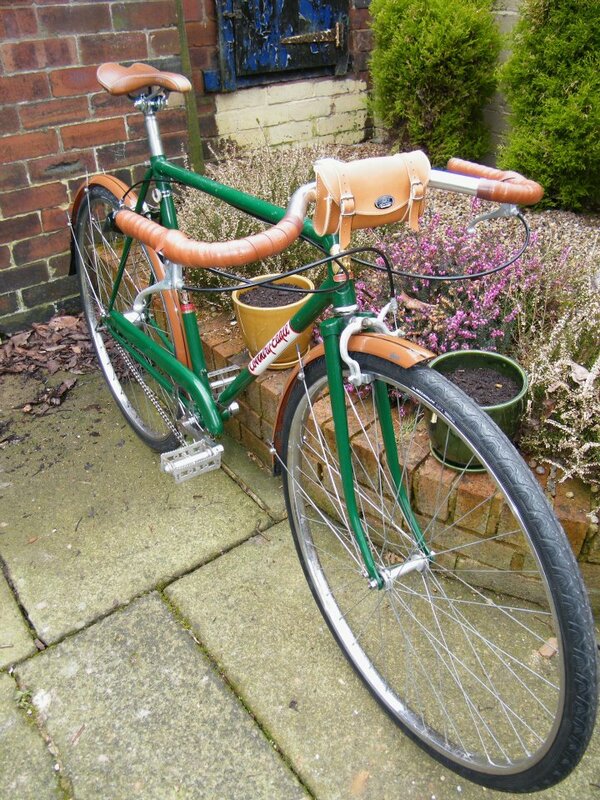 Others is probably the quickest and easiest way to describe the myriad of alternative options available; here you can see merely two in the shape of Raleigh’s excellent North Rounder bars fitted to my girlfriend’s custom built Specialized Globe and Soma’s 3 Speed II moustache bars fitted to my Coventry Eagle restoration project. The thing with many of these types of bars (and many others from the likes of Soma, Nitto, On One and others) is that they look awesome but they also each have very quirky riding positions and, sometimes, you’ll be putting your hand into your pocket to reach for lots and lots of money to get yourself a pair. Dirt drops are a relatively recent idea, catering to those who want to go off road but use drop bars; as I am one of those and will shortly be building a new bike with said bars, I’ll cover the pros and cons of dirt drops in a later post. So, what does all this mean? Well, once you’ve been riding for a few years on a variety of bikes with a variety of bars, you’ll find yourself becoming fond of one particular kind or other and you may even get a bit of brand loyalty once you find some you like. Width – You really don’t want your hands to be in a narrower position than the width of your shoulders (we road cyclists do sometimes ride with our hands in the middle of the bars but it’s really a temporary change of hand position thing) so, measure yourself! Wider bars give more stability too (great for cargo bikes; more of that in a later post), but go too wide and you’ll think you’re riding a bus. Girth – Stop sniggering. Now, this is where the science bit comes in; the diameter of your bars greatly determines which brake and gear levers will fit on them and no, not all brake levers work with all brakes and god no, not all gear levers work with all gear systems! Again, please, please, please get some advice from your local, friendly, independent bike bike shop and they’ll tell you what your various options are. There are also a few different options size-wise for the stem that holds your handlebars (25.4mm, 26.0mm, 31.8mm to name the 3 most common) so you may need to consider whether you want to fork out on a new stem or not… I’ve just realised I could write a whole blog post about the different types of stem… Maybe some other time. Squidgability – What? That’s a real word. Sort of. 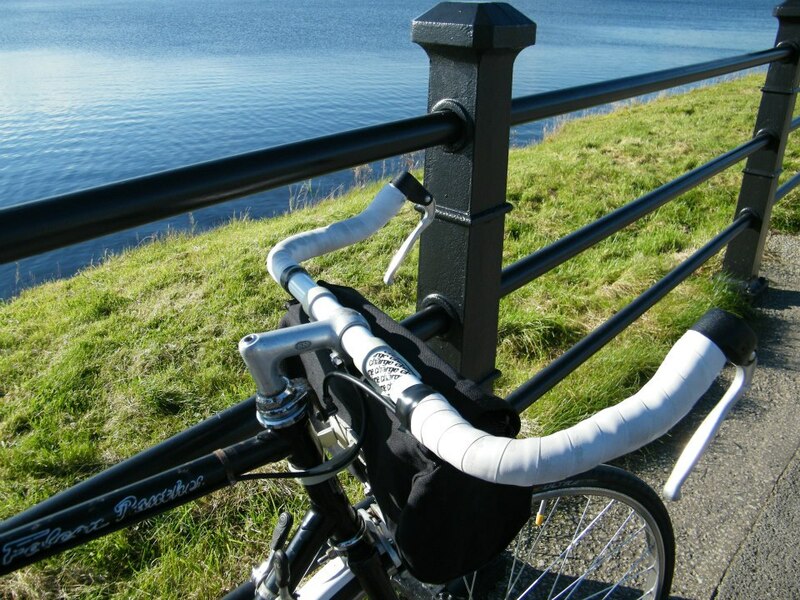 Now, as a rule, flat and riser bars are suitable for handlebar grips which slide over the end of the bar (some even have little pinch bolts to grip the bars with) and come in a huge variety of colours, styles and thicknesses; generally quite cheap and easy to fit, the more squidgy, the more comfortable. Road bars and many of the ‘other’ bars above are suitable for wrapping in handlebar tape (again, see le Tour de France riders). Bar tape comes in hundreds of colours, materials and thicknesses… Try ’em all out but don’t spend much more than a tenner for it. Oh, and get somebody to teach you how to wrap it the first time out! 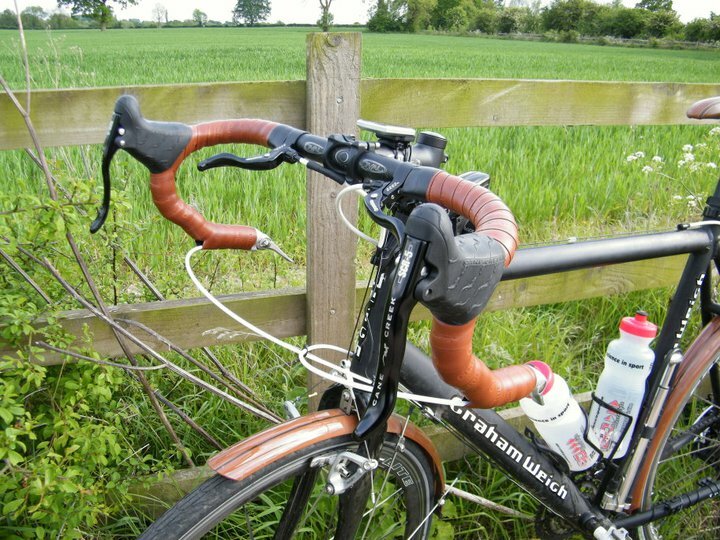 So, there you go – my quick guide to finding the right handlebars for you. Feel free to drop me a line for some more specific advice.